You did it! You finally bought the RV you have been looking at and researching for months. You love the floorplan and all the features. 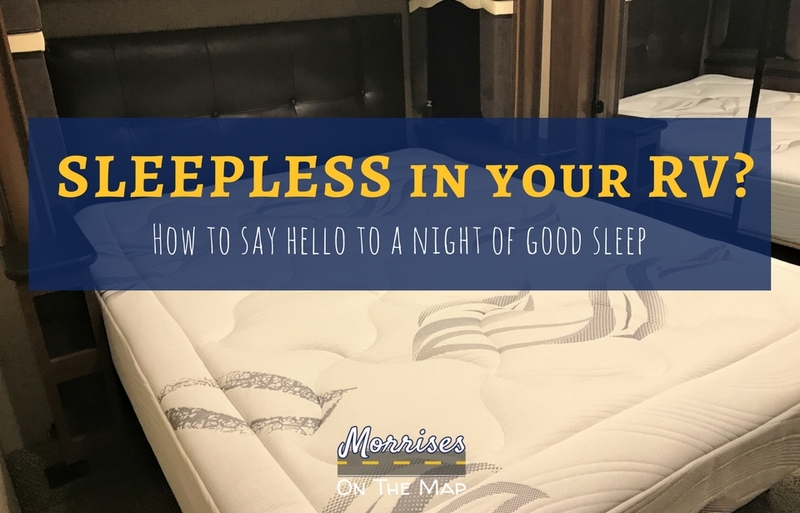 It comes time for your first overnight stay in your RV and you lay down on your mattress ready for a restful night of sleep and “Bam” you realize the mattress that came in your new RV is absolutely awful! Well, welcome to the club! If you look on any RV forum, you are bound to come across someone asking for recommendations on a new RV mattress.  Whether you purchased a motorhome, fifth wheel or travel trailer, an uncomfortable mattress is usually part of the package. In 2016 we purchased our second RV, and just like our first, we quickly realized we would need to do something about the mattress. After a 6 weeks trip and many mornings waking up with sore backs, we came home and started researching new mattresses. The first thing we did was decide on the size we would need to replace our current mattress. In some trailers, the mattress is shorter than a typical mattress you would buy for the home. We were lucky and ours was a normal queen size mattress. Blaine is the king of researching our purchases and he got busy looking into affordable options for us. After visiting several local mattress retailers we quickly decided that was not the option we wanted to take. The comfortable mattresses cost much more than we wanted to spend on a mattress that would not be used daily and the ones in our price range were worse than the mattress currently in our fifth wheel. So we turned to Amazon. We were a little apprehensive about purchasing a mattress without ever having laid on it, but we read many, many reviews and finally decided upon a Zinus mattress. Yes, we decided to order a mattress in a box and we could not have been more pleased with our purchase. When buying a Zinus mattress, you have many options. To decide which one is perfect for you, you should read the description of each and also read the reviews. 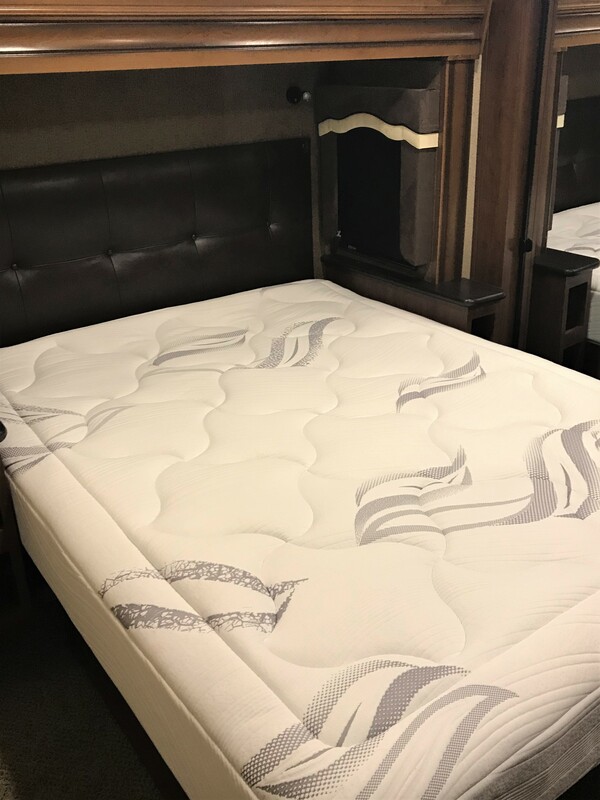 The hard part about reading mattress reviews, is understanding that everyone has a different opinion about how hard or soft a mattress should be. It is really not the fault of the mattress is someone says it is too hard or too soft. After many hours of research we decided to purchase the Zinus Memory Foam Premium Cloud-like mattress. Once we decided on the mattress we wanted to purchase, the next step was to decide how thick the mattress should be. We measured the current mattress and also measured the distance from the platform to the bottom of the overhang from the side tables on each side of the bed. When doing research on mattresses that come in a box, we read several reviews that said their mattress had failed to expand the entire amount the manufacturer had listed. Since our current mattress was 8 inches, but we had room for a 10 inch mattress, we chose to purchase the 10 inch. That way if the mattress was 9 inches instead of 10, it would not be a problem for us. We should not have worried! When the mattress arrived it did expand to the full 10 inches and it was so comfortable. In fact, after sleeping on our mattress for a week on our spring break trip, we decided to buy the same exact mattress for our our bed at home. A year later when our daughter needed a new mattress, we turned to Zinus once again. Her mattress did not expand to to the entire height, but we had planned for that and it was not an issue. We have also had several family members purchase a Zinus mattress and all have loved it. Once your mattress arrives it is easy to get your mattress all set up. First, you will need to have help to move the box, because it is very heavy. Then you will remove the mattress from the box and place the mattress still in the plastic on the bed. You should open the mattress as soon as possible after it arrives at your home, so it will expand completely. Zinus recommends that you not wait any more than 72 hours before opening. After you have the mattress in place you can remove the plastic. At this point, the mattress will start to expand. Zinus recommends not sleeping on your mattress for 24 hours, to allow it to completely expand. So make sure you do not have a trip planned the next day! After 24 hours you are good to go and there will be no more sleepless nights in the RV! We have included several links to Zinus mattresses on Amazon. The first is the mattress we purchased for our RV, home and have had several family members purchase. It is not too firm or too soft. It is just right for us! If you are in need of an RV length mattress, Zinus does make a short mattress. We have not purchased this mattress, but have heard great things about it from other RVers. Here are some other Zinus mattresses for you to research. We have not purchased these, but they are ones we looked at before making our decision. Our hope is that you will be sleeping like a baby soon and have no more sleepless nights in the RV! If you are new to RVing be sure to check out 5 Must Have Apps for RVers. These are apps that we use to make RV travel easier. You may also want to check out, How An Extended RV Trip Will Make Your Family Closer.